It’s been years in the making, but YG Entertainment’s newest girl group is finally here! And only days into their debut, BlackPink is already proving to be a formidable force in the world of Korean girl groups. As fans swarm to YouTube and other media to watch the videos and listen to the music, let’s go into the basics of BlackPink’s history, formation, and members. If you didn’t know much about the girls before the release of their songs “Whistle” and “Boombayah” a few days ago, you’re in the right place to learn more. The announcement of a new group from YG dates as back as far as 2011, when the label announced that a girl group reminiscent of Girls’ Generation would debut in the following year. In 2012, YG Entertainment began teasing the possibility of not one, but multiple girl groups debuting under the agency, becoming sister groups to the explosively successful 2NE1 and BIGBANG. It came down to two groups, the first being SuPearls, which was composed of four strong singers aiming to release vocal-oriented music instead of the typical K-pop sound and singing skills. This group was supposed to have current YG soloist Lee Hi as a member, among three other vocalists from “K-pop Star 2.” Without much more detail, YG revealed plans to debut another girl group before 2012’s end alongside SuPearls. The stage was set for these girls about four years ago, but as we can see, they didn’t take the stage until much later. Clearly, YG faltered on its 2012 plans — SuPearls was disbanded before debut, leaving Lee Hi to take the stage on her own, and the other new girl group was nowhere else to be seen. That is, until CEO Yang Hyun Suk reopened the possibility of the girl group debuting in 2013, but failed to happen as well. 2014 saw another such announcement, and more discussion of the girl group resembling SNSD, only to let fans down once again as both 2014 and 2015 passed with no formal debut. But as the years went on, we weren’t entirely clueless about the girl group. If there was one person a YG fan could have guessed would be a BlackPink member, it’s Jennie Kim. Her name was all over YG releases between late 2012 and early 2013, when she featured on G-Dragon’s “Black,” Seungri’s “GG Be,” and Lee Hi’s “Special.” Whether it was rapping or singing, it was pretty clear that Jennie Kim was being prepared for debut, no matter how long it would take. Member Rosé underwent similar preparations, even though she wasn’t directly named in her feature on G-Dragon’s “Without You,” (instead, she was called “? of YG New Girl Group” for the better part of four years). As this was happening, members were being repeatedly added to the girl group and cut. It seems that, considering the intended connection to Girls’ Generation, that YG desired to debut a girl group much larger than 2NE1, probably closer to GG’s nine members than 2NE1’s four. As time went on, however, Yang Hyun Suk and the rest of YG management must have changed their minds, because BlackPink in its final form consists of only four members. Only two months ago, YG reported that a fifth member would be revealed, only to later take back that announcement and go forward with a four-member girl group. What prompted the last-minute switch? We don’t know for sure, but recent trends in girl group debuts might have played a role in the decision. Given that TWICE, Gugudan, DIA, and I.O.I, among other girl group debuts these past two years, contain in excess of seven members, going with only four members gives the girl group an immediate edge — they stand out simply because they’re different in size. And, of course, it gives YG room to plan another girl group in the near future. And finally, we have BlackPink. It took five years since the initial announcement, but YG’s next girl group is finally here. To go on further, let’s discuss the four members. Jisoo is 21 years old, and is the only member of BlackPink to have been both born and raised in South Korea. After training for over five years, she takes her place as the main visual and a vocalist in the group. Before BlackPink, she appeared in multiple CFs in addition to Epik High’s music videos for “Spoiler” and “Happen Ending.” With a pretty face, she serves as the group’s face, a role very important to the popularity of some K-pop groups (see: Yoona of Girls’ Generation, Nayeon and Tzuyu of TWICE, Suzy of Miss A, etc.). At 20 years old, Jennie Kim is the member we all expected to see among BlackPink’s final lineup. She serves as the group’s main rapper, while also covering vocal and dance sections as well. 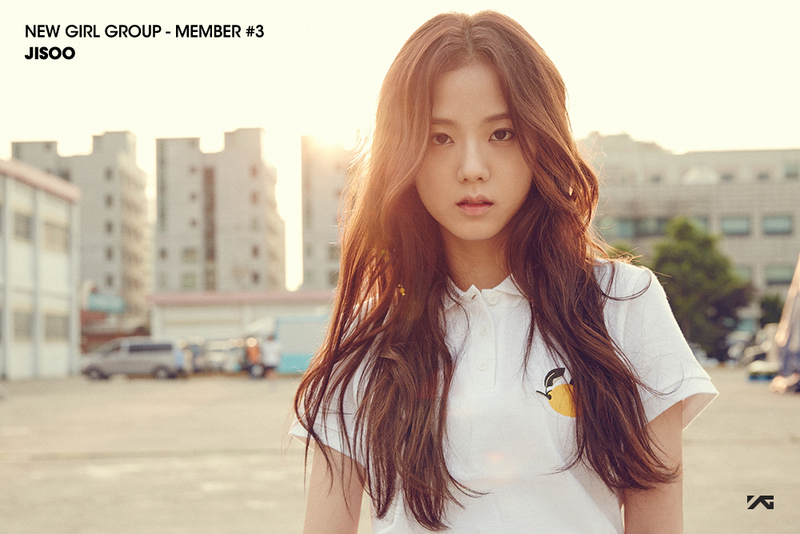 As previously stated, she has demonstrated her talents in previous YG releases leading up to her debut. She boasts experience with English and foreign cultures, as she is from the Netherlands and has studied abroad in New Zealand. Rosé is the group’s main vocal, another English-speaker who comes from Australia. At 19 years old, she shows strength in both her dance and singing, which is not surprising given her four years (at least) of training at YG. As previously stated, her feature in G-Dragon’s “Without You” served as the main precursor to her group activities. Last but certainly not least is maknae Lisa, who comes from Thailand. At 19 years old, she is the group’s main dancer, second rapper, and vocal. Her Thai ethnicity makes her the first YG idol to be entirely non-Korean, and her exposure to different cultures has clearly benefitted her understanding of language, as she can speak English, Korean, and Japanese in addition to her mother tongue. Prior to her five year training period in YG, she was part of the Thai dance crew “We Zaa Cool” alongside GOT7’s BamBam. She made appearances with YG’s NONA9GON brand in the years before her debut. What do you think of BlackPink? Share your thoughts in the comment section below and be sure to subscribe to the site and follow us on Facebook, Twitter, Instagram, and Tumblr to keep up with all of our posts.